The Western Cape Education Department (WCED) briefed the Standing Committee on Education about its performance in the 2018 National Senior Certificate (NSC) examination. WCED reported it had a pass rate above 80% even though the overall pass rate decreased from 82.8% in 2017 to 81.5% in 2018. Seven of its districts achieved the second highest bachelor’s degree access in the country with 42.35% of candidates achieving this level of pass in 2018. All districts increased their bachelor’s degree access due to the fact that the designated list of subjects was revoked in 2018. 15.7% of schools in the Western Cape achieved a 100% pass rate. The country’s top overall position went to a learner from the Western Cape and the province had the top quintile 2 learner in the country. 10 special schools wrote the NSC examinations and achieved 100% pass rates. There were 74 bachelor’s degree access out of the total of 186 candidates that wrote at special schools. The pass rate of special schools decreased from 95.1% in 2001 to 87% in 2018. The Department also pointed out there has been a decrease in mathematics and physical sciences performance, and fewer and fewer students were registering for and writing mathematics and physical sciences. The bulk of learners were registering for and writing maths literacy. Even though that was the case, the province had the highest mathematics pass rate of 76.0%. It, however, said there was a drive from the national department to increase maths and physics participation at grades 11 and 12. Also, it indicated that feedback to districts and schools was provided on the 2018 NSC results. The schools were provided with a summary page of results and a full set of candidate advice of results. Schools were supplied with the symbol distribution graphs for all subjects written at their schools. They were also provided with a per question analysis of each question paper that was written at the school. Further, the department indicated that 45 schools from the eight districts achieved less than 60% in performance. Each district has now been finalising its improvement plans which were focusing on improving underperformance. These improvement plans were tailor-made to fit the situation of each school. The WCED has developed a comprehensive strategy to support the improvement plans. Members wanted to know what difference the school improvement plans were going to do to these 45 underperforming schools because it was not the first time the department has introduced improvement plans; wanted to understand if the poor performance in the 45 schools could be attributed to low involvement by the SGBs, parents, teachers, or absenteeism; wanted to find out if the doing away of the extra basket of posts contributed to the decline in no-fee schools; indicated their main concern was on the high percentage of drop-outs that happened at the intermediate phase and grade 10; wanted to understand how subjects were clustered because some learners were coming from different provinces where subjects were clustered differently; and requested the committee be given the number of no-fee schools in the 45 underperforming schools and a breakdown of pregnancy rate in the 45 schools, including the number of learners that were from other provinces and the stage at which they entered these schools. The committee then considered and adopted its quarterly report (January 2018 – March 2018) and three sets of minutes. Mr Hendrik Swart, Director for Assessments, WCED, informed the Committee the Western Cape retained 62.96% of the cohort in the system from grades 10 to 12. The WCED had once again a pass rate above 80% though the overall pass rate decreased from 82.8% in 2017 to 81.5% in 2018. The WCED achieved the second highest bachelor’s degree access in the country with 42.35% of candidates achieving this level of pass in 2018. The province had the highest mathematics pass rate of 76.0%. He reported that seven of the districts achieved over 80% pass rate. The Metro East District had a pass rate of 76.4%. All districts increased their bachelor’s degree access due to the fact that the designated list of subjects was revoked in 2018. 10 special schools wrote the NSC examinations and achieved 100% pass rates. There were 74 bachelor’s degree access out of the total of 186 candidates that wrote at special schools. The pass rate of special schools decreased from 95.1% in 2001 to 87% in 2018. 15.7% of schools in the Western Cape achieved a 100% pass rate. The country’s top overall position went to a learner from the Western Cape and the province had the top quintile 2 learner in the country. On invigilation, the WCED used a system of 50% educators and 50% members of the community. Invigilators’ and Smartlock training proceeded from 20 August to 20 September 208 and spanned 18 sessions across the eight districts. The WCED administered competency tests to NSC markers in 11 subjects. He further reported that the 2018 examination was written at 459 examination centres. Monitoring of the examinations was conducted across all districts with daily reporting to DBE and Umalusi. 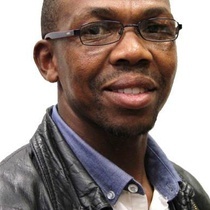 26 ex-WCED officials were appointed as monitors at examination centres classified as medium to high risk due to either being a first time examination centre or previous irregularities at the centre. Mr Swart noted that 2018 was the fifth year the NSC examination was based on CAPS. It was also the fifth year that grade 11 learners that had failed once in the FET band were progressed to grade 12. A total of 1 725 progressed candidates wrote the full complement of subjects of whom 579 passed and 44 achieved a bachelor’s degree access. In 2018, progressed candidates were again given the opportunity of completing NSC over a two year period. A total of 1 470 opted for this option. Feedback to districts and schools was provided on the 2018 NSC results. The schools were provided with a summary page of results and a full set of candidate advice of results. Schools were supplied with the symbol distribution graphs for all subjects written at their schools. They were also provided with a per question analysis of each question paper that was written at the school. Districts were supplied with their overall circuit and school performance as well as detailed analysis of the performance in subjects at the district and school levels. This included a comparative analysis of the examination and school based assessment for each subject. The chief marker of each question paper drafted a report on the 2018 examination question paper in an effort to provide feedback and support to teachers and curriculum advisors. Mr Swart noted that 45 schools achieved less than 60%. Each district was finalising its district improvement plans which focus on improving underperformance. The WCED has developed a strategy to support the improvement of results at all levels. Detailed subject and district improvement plans were being finalised for approval and implementation. 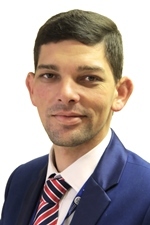 DiscussionMr D Mitchell (DA) remarked it has not been the first time the Department has introduced school improvement plans in Eden and Central Karoo. Some of these schools in these areas have been underperforming every year. He then wanted to know what difference the school improvement plans were having on these schools, and asked the Department to submit to the committee the school improvement plans because members would like to see what they entailed. Mr Lance Abrahams, Chief Education Specialist, WCED, stated the Department was aware of the underperforming schools. The plan was to appoint new principals and plans were in place to improve the situation in these schools. Instability in these areas has also contributed to the decline in performance. The interventions were custom-made and the Department has engaged with the management of the schools. He pointed out that sometimes things were beyond the scope of the school management and there were many community issues involved. The Department has introduced subject improvement plans because it has discovered that a particular subject was the cause for a school’s drop in performance. 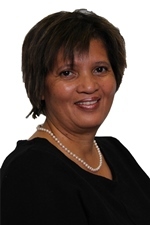 Ms L Botha (DA) asked the Department to name the two schools that were failing in West Coast. She wanted to know if the poor performance could be attributed to low involvement by the SGBs, parents, teachers, or absenteeism. She asked if all the learners who enrolled for matric wrote the final exams. Mr Abrahams said the two schools were Louville and Nuwerus. He further indicated parental involvement remained a big challenge for these schools, especially in impoverished communities due to violence in the areas. The focus for this year would be on educator and learner attendance. He added that most learners from these schools wrote matric. Mr Swart said it must be remembered that quality education was determined by the school management and teachers. Parental and SGB involvement was a major concern because schools were drawn into community politics and that was a reality. Teacher and learner absenteeism was not directly linked to the poor performance, but that was something that would be given serious attention. Mr T Olivier (ANC) indicated his main concern was on the high percentage of drop-outs that happened at the intermediate phase and grade 10. The percentage was bit confusing, especially when looking at it below grade 10. The 81.5% regression in the overall pass rate was not pleasing, but he commended the Department for achieving the second highest bachelor’s degree access rate in the country. Another concern was that most underperforming schools were coming from the Metro East District, and that the Department should do a lot to improve the pass rate of maths and physics. Mr Swart stated the province had a very high rate of learners who enrolled for and wrote matric examinations compared to other provinces. WCED would need to look at what it would do to address the drop-out rate even though it was stable on grades 11 and 12. WCED was stable on the progress of learners because it was making sure learners were given a second opportunity to try matric. He added that the districts would look at the underperforming schools to detect what went wrong, especially if matters involved a change in leadership. 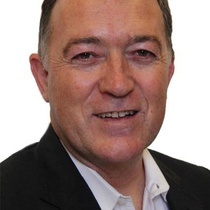 Mr C Dugmore (ANC) said his concern was on the effective decline in the overall pass rate over the last two years. The main issue was the decline of quality in former disadvantaged schools, especially on maths and physics. 28% of the learners were writing mathematics, not maths literacy. Fewer and fewer learners (19%) were registering for and writing sciences. He then wanted to know if the doing away of the extra basket of posts contributed to the decline in no-fee schools. He noted he was under the impression not enough was being done to improve the quality of education in formerly disadvantaged schools. He requested the Committee to be furnished with a breakdown for the decline in maths and physics. Mr Swart admitted they were not satisfied with the decline over the past two years. That matter was being given serious attention. 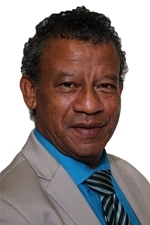 With regard to the decline in maths and physics, he said there was a drive from the national department to increase maths and physics participation at grades 11 and 12. Sometimes it depended on the subject choices of the learner. WCED would look at the success stories of learners who have done well on both subjects. WCED discovered that if a learner failed maths, physics also got affected. On the basket of posts, he indicated it was allocated where it was needed most at district level. The Department was always on the back foot due to the increasing number of learners. It needed to find more funds to provide additional request for teachers. That was something they needed to accelerate to another level. The Chairperson remarked that when it came to improvement plans, it was important to take note of the success stories to see what could be done. Ms Botha wondered whether the scarcity of resources played a role in the 45 underperforming schools because it was obvious that schools in the metro, urban areas were well resourced when you look at their good performance. She wanted to understand how subjects were clustered because some learners were coming from different provinces where subjects were clustered differently. She requested the Committee be given the number of no-fee schools in the 45 underperforming schools, and a breakdown of pregnancy rate in the 45 schools, including the number of learners that were from other provinces and the stage at which they entered these schools. Mr Abrahams explained it was getting difficult to get placed in grade 12 because the subjects were clustered differently and the Department has to find for the learner a school with the same style of clustered subjects. It was not a problem when a learner from another province comes to do grade 10, but the Department was not encouraging them to start at grade 12. If they have had to help learners, they always went out of their way to help them because they do not chase them away. The Chairperson commented the discussion was open and frank, and it has opened their minds. It has helped them to reach a common ground on issues and deficiencies that were still in the system. Ms Botha moved for the adoption of the minutes. Mr Olivier seconded the move. Mr Mitchell proposed for the acceptance of the minutes. Ms Botha seconded the move. Mr Olivier proposed the adoption of the minutes. Mr Mitchell moved for the adoption of the minutes.